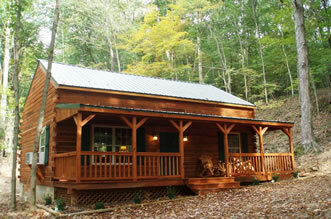 Some friends of mine have a new cabin rental available in Hocking Hills area. Rates are very reasonable and it is conveniently located to Hocking Hill attractions. It is only 5 miles from Old Man’s Cave and is situated in a peaceful, secluded setting. The cabin sleeps 5 and has 6 person hot tub, woodburning fireplace, kitchen, 42″ TV w/dvd and directtv, surround stero w/ipod dock and much more. Check it out and make your reservations today. They are filling up fast. With holidays just around the corner, tis the season with a new local business. They offer Homemade Goodies for all occassions. Custom Wedding/Birthday/Specialty Cakes, Cookies, Buckeyes, and many other irresistable treats. They just did a specialty Hannah Montana birthday cake for my daughter this past week. It was absolutely beautiful and delicious. They’ve been providing goodies for years for family and friends but have recently launched “Spoon & Spatula”. Visit their website at www.spoonandspatula.com or call them at 614-837-8142 or 614-837-6817 to discuss your homemade goodie needs.